About 13,000 to 20,000 people each year are poisoned by rodenticides, and most of these are children. About 80% of the hospitalizations are due to second generation anticoagulants, mostly brodifacoum. Of the 95,000 pets poisoned each year, about 74% is due to brodifacoum. This type of rat poison is also causing widespread poisoning of wildlife, including raptors. Brodifacoum is a longlasting poison, and rats can accumulate 30 to 40 times a lethal dose before they die. Raptors that eat these rats die of secondary poisoning. The problem is widespread, and may kill 10-20% of raptor populations in areas where the baits are used. Sublethal effects include bleeding and disorientation leading to accidents. 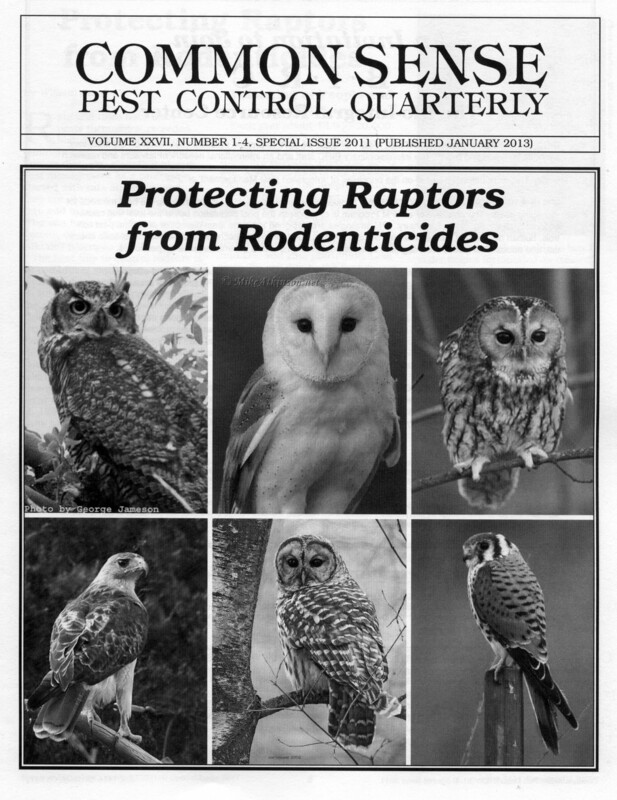 Poisoned raptors are also more susceptible to disease. BIRC’s new publication reviews the problem and proposes effective, practical alternatives that will provide effective rat management without killing raptors. If you would like to read this publication, click here. Hard copies are $8 each including postage. California residents add 9% tax. Quantity discounts are available until supplies run out. If you would like to order the publication, click here.